SAN ANGELO, TX -- The National Weather Service office in San Angelo has issued a flash flood watch for West Central Texas through late Friday night. 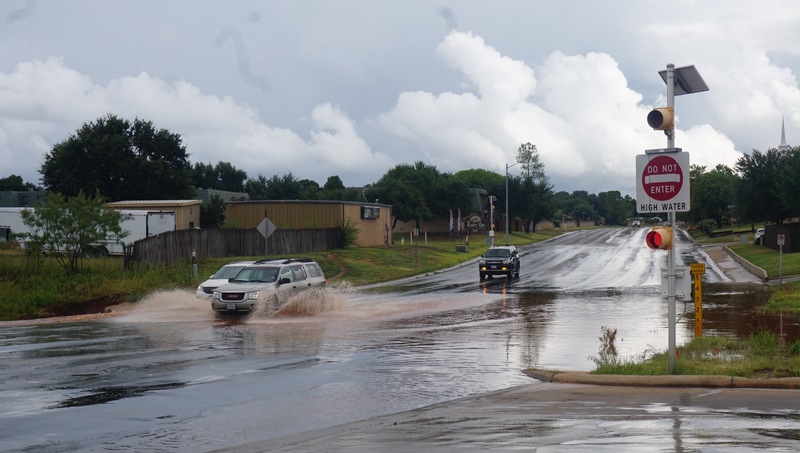 According to the NWS, the flash flood watch is for a portion of west central Texas, including the following counties, Brown, Callahan, Coke, Coleman, Concho, Crockett, Fisher, Haskell, Irion, Jones, Kimble, Mason, McCulloch, Menard, Nolan, Runnels, San Saba, Schleicher, Shackelford, Sterling, Sutton, Taylor, Throckmorton, and Tom Green. Showers and thunderstorms with heavy rain producing rainfall rates of 1 to 3 inches per hour Friday morning. This, in addition to already saturated soils, will result in an increased threat of flash flooding. Additional total rainfall amounts of generally 1 to 3 inches with local 4 inch amounts are expected through late tonight. There is an 80 percent chance of rain through Friday night. At 6:30 a.m., isolated light to occasionally moderate showers were occurring across much of West Central Texas, except in Haskell County where a heavy shower was moving through. Expect showers to increase in coverage and intensity through the morning hours. Motorists should use caution during the morning commute, as roadways may be wet and some low water crossings may get flooded.